Doha - Qatar, April 22, 2018: The wait is over, as Sadeem, the biggest digital series in the Arab world, announces its top ten finalists. 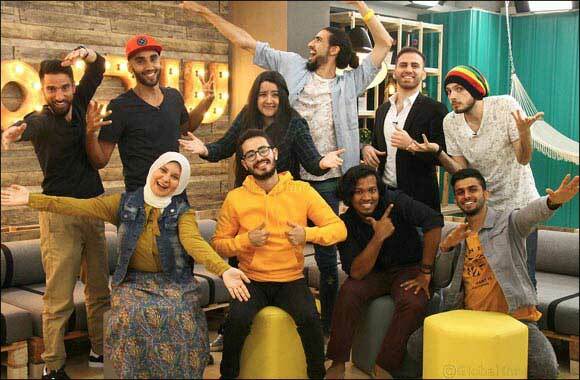 After several rounds of challenges, the jury members were able to zero in on the following candidates who will compete for the top position in Sadeem Season 1: Lina Fakahani from Egypt & Walid Fatim from Morocco for Vlogging; Mohammed Al-Salini from Libya & Qassim Al-Hato from Jordan for Travel and Adventure; Abdullah Jalal from Pakistan, Ali Neyadi from Oman & Muthanna Al-Salih from Iraq for Motivation and Inspiration; Abdulrahman Al Khamis from Kuwait for Innovation and Technology; Omar Al-Kikhia from Libya for Entertainment; and Zainab Moallem from Algeria for Comedy and Satire. The ten finalists are currently in the Sadeem “Hub” in Demco Towers competing for audience engagement over a range of challenges such as ‘creativity’, ‘digital growth’ and ‘branded content’. During “The Hub”, the finalists are also attending a series of professional workshops conducted by Facebook, Twitter, Instagram and YouTube. The finale will be held on May 12th where the first ever winner of Sadeem will be announced. Targeted at Gen Z – Arabs aged between 15 and 25 – Sadeem aims to create a network of young content creators from the Arab world who can realize their potential and achieve their dreams, while spreading a message of hope and positivity across their countries. The show is supported by Demco Properties, Talabat, Qatar Airways, L’Oreal, Nyx, Facebook, Twitter, Instagram and YouTube.